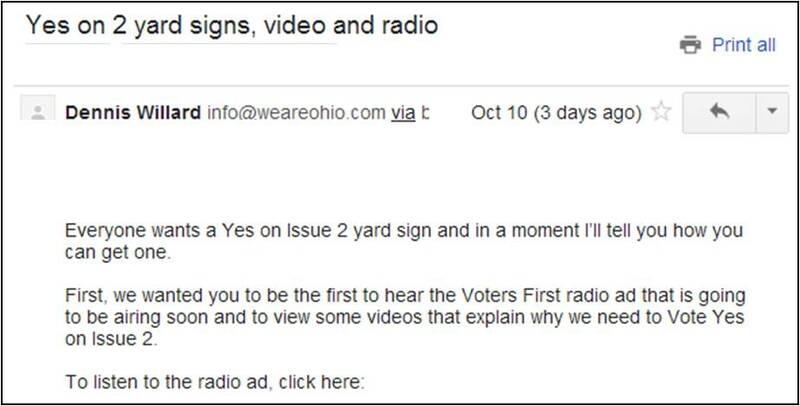 After stealing money from their members, big labor interests were expected to make waves this year asking voters to give up their voice and pass Issue 2 at the ballot this November. So, when I kept seeing ‘No’ on Issue 2 television ads, I was left wondering, when is big labor going to release their television campaign? There’s not just one missed mention of ‘No’ on Issue 2, but no less than three. 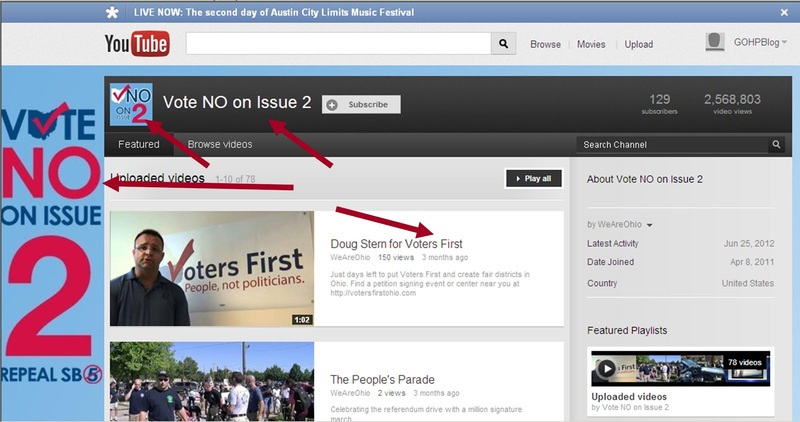 And all of this was still there AFTER the group put up a video promoting the redistricting amendment. I’m sure after this blog posting, the liberal darlings over at We Are Ohio will correct this branding misstep. Regardless, this is a rookie mistake that a winning campaign doesn’t make. Especially when the odds are stacked against them, with statewide organizations and major newspapers lining up to oppose them everyday. Of course, with polls showing them hugely behind by a 49% to 26% margin, maybe they’ve decided to finally give up on advancing bad ideas. And it only took two years and $42+ million of someone else’s money for them to realize it.